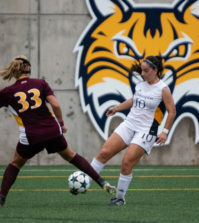 After playing to identical 4-6 records in conference play in 2011, Quinnipiac men’s and women’s soccer aim to reverse their luck in 2012. The men’s soccer team welcomes eight new freshmen this fall, five defenders, two goalkeepers, and one midfielder. Returning players to the 2012 squad include leading scorer, Phil Suprise, along with forward Ola Ogunjobi, and junior Tim Quigley. Suprise, Ogunjobi, and Quigley combined for 29 points in 2011, and are three of the top four returning scorers. Suprise led the pack last fall with 14 points to his name. 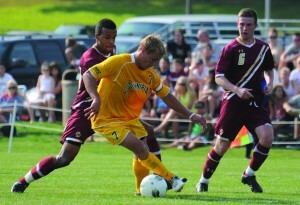 The men’s team started off their 2012 campaign with a 2-1 loss to No. 11 Boston College. Highlights include a rivalry game against Yale Sept. 14 and the season’s first conference match against last year’s NEC champion, Monmouth, Sept. 28. Quinnipiac closes out its regular season with matchups against Central Connecticut State and Fairleigh Dickinson on Nov. 2 and 4 before beginning the NEC playoffs on Nov. 9. Last year the Blue Devils were the No. 4 seed in the NEC tournament. However, they have a one year playoff ban this season due to poor Academic Progress Rate scores which are given out by the NCAA. 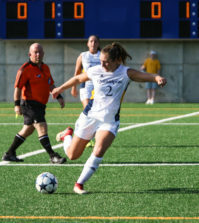 The women’s soccer team will be without leading goal scorer Furtuna Velaj but will add six new freshmen to the lineup. From 2011, team runner-up in points, Shauna Edwards, will be back this fall, and will look to improve on her nine points from last season. Beck Kiting and Crystal Burns will also return to the Bobcats this season. The two combined for 13 points last year. 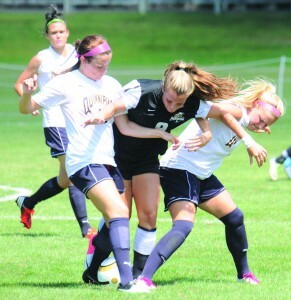 Quinnipiac began regular season play on Sunday against Providence, a contest it took, 1-0. Quinnipiac next squares off against Vermont on Friday before taking on the College of the Holy Cross and New Jersey Institute of Technology on the road on Sept. 2 and 7. 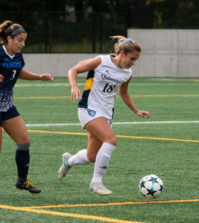 The Bobcats then enter a stretch in which they play four of their next five games at home, including their first conference game on Sept. 21 against Fairleigh Dickinson. 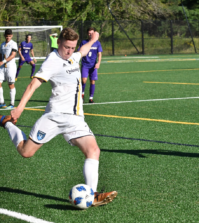 After taking on Central Connecticut State at home Sept. 23, Quinnipiac takes on last year’s NEC tournament champion LIU-Brooklyn in an away match on Sept. 28 before returning home to square off against Monmouth on Sept. 30.